Don’t miss it. Seriously, do NOT miss it. It’s so easy to miss the opportunity, all too often here and then gone in a second. You want to take advantage of the opportunity you need to be ready, you need to work hard, you need to be diligent, and you need to be paying attention. You don’t want to be sitting on your but watching game of thrones when that moment strikes, you don’t want to be out for the count when it really does count. Get ready, stay ready, stay focused. Yea, it’s a waiting game, yea it’s a patience game, yea, that’s not really all that fun. The rewards usually DO come to those who way. Are you ready, are you waiting, or are you goofing off and complaining? Every once in a while something genuinely incredible happens, often when least expected. 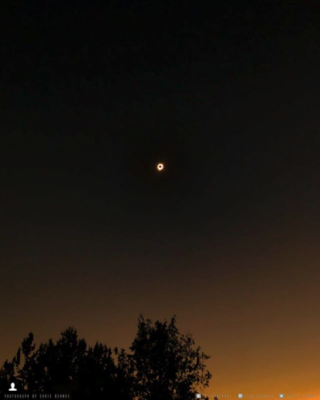 Once in a lifetime experience seeing the total solar eclipse here in Central Oregon. This entry was posted in Leadership, Life, Micro Blog, Purpose and tagged Eclipse, friendship, Life, Once in a lifetime, Opportunities, Solar, Solar Eclipse.